Why won't the EZ300HD turn on? Make sure the battery level is not too low. Connect the camcorder to a USB port and allow the camcorder to charge for 3 hours. If the camcorder display is not turning on after it is plugged in to the charger/USB port, try sliding the power switch to the on position. Why can't the microSD card be detected by my EZ300HD? Make sure the microSD card is inserted properly. Remove and insert the card from the card slot again when the camcorder is powered off. Why won't the EZ300HD turn on after being connected to PC or AC/DC adapter? The camcorder battery may be very low. The camcorder may be locked up. Slide and hold the Power key for 10 seconds to reset. After releasing the Power key, wait 10 seconds and then slide the Power key to the on position. Why can't I record videos on the EZ300HD? Make sure the memory space is not full for recording. If the camcorder is full, please remove any unnecessary files on the camcorder or replace the micro SD card with one that has memory space available. The camcorder battery level may be too low; charge the camcorder before trying again. Why is the available time for recording videos significantly reduced on my EZ300HD? Make sure you have properly selected the video recording quality before recording. Why are the recording time and date incorrect on my EZ300HD? Make sure you have properly set the date and time in the setting menu. Refer to "Menu settings" for more information. Can the keytone be turned off on my EZ300HD? Yes. Refer to "Menu settings" for more information. Why isn't there any sound when playing back recordings on my EZ300HD? Adjust the volume by pressing + or – during playback. Why are the pictures distorted when videos are played back via a TV set? Make sure you have correctly selected the TV output system (PAL or NTSC) from the setting menu. Refer to "Menu settings" for more information. Make sure to use the included AV cable and connect the yellow colored RCA plug to Video, and the white colored RCA plug to Audio Left channel of the TV set. Make sure the TV's input mode selection matches the input that the RCA plugs were placed into. Why don't my videos display on my TV while connecting via HDMI on the RCA EZ300HD Camcorder? Make sure to use a qualified HDMI cable for connection. Check to ensure the TV set input selection is correct and matches the HDMI cable plug selected. Some TV sets may be not fully compatible with HDMI standard, try to use AV OUT to playback video. Can I retrieve deleted videos from my EZ300HD? Unfortunately, deleted videos cannot be retrieved. Why isn't the EZ300HD functioning properly? Slide and hold the On/Off switch for more than 10 seconds to reset the camcorder. Why can't I view recorded videos on my PC? Validate your system meets the Minimum PC Requirements. Plug the camcorder into your PC's USB port and launch the RCA Memory Manager installer. Note: RCA Memory Manager installs a required HD video codec*, and skipping this step will prevent you from being able to view the videos on your PC. Note: The Small Wonder records videos using H.264 video encoding technology and the video files use the AVI file format. For these videos to play on your computer, you must have our H.264 video decoder installed in your computer. The Memory Manager software that is included on the digital camcorder includes our unique H.264 video decoder that automatically installs on your computer. Note: Other cameras and camcorders install similar H.264 decoders onto your computer, which may result in difficulty playing videos captured with your Small Wonder and edited with Memory Manager software. RCA has identified conflicts with the latest versions of DivX, Nero, Flip Share (installed by the Flip camcorder) and Arcsoft Total Media Extreme (installed with Kodak and Aiptek camcorders). If your Small Wonder videos do not work with the Memory Manager software, it is most likely the result of a codec conflict and can be corrected by uninstalling the software from your other camera or camcorder prior to use. Why can't my friends view the videos I have sent them that were recorded with the EZ300HD? Use the SHARE functions of the Memory Manager for sharing videos with friends and family. The native files from the camcorder may not play in other computers. Why do my videos, captured with the EZ300HD, playback unclear or "blotchy" on the PC, or with sound only? It’s possible that an incompatible MPEG4 decoder (i.e., DivX) has been previously installed on the PC and is being invoked as the default decoder. Turn off Support for Generic MPEG4 on DivX decoder by accessing the DivX Decoder Configuration Utility. Why isn't anything happening when I plug my EZ300HD into a PC? When you plug the USB arm into an available USB slot on your computer, it should launch the standard autorun window. If it doesn't, unplug the camcorder and plug it back in making sure the connection is firmly in place. If making the connection again doesn't automatically launch the autorun window, unplug the camcorder, restart your computer, and then after startup is complete, reconnect your camcorder. At this point, if the autorun window still doesn't appear, you may also try navigating directly to the camcorder. Double-click this drive icon to open your camcorder. Then click “RCAMemoryMgr.exe” to launch the Memory Manager software. Try a different USB port on the PC. If connecting through a USB hub, remove the hub and directly connect to the PC. If using an extension USB cable, remove the extension cable and directly connect to the PC. Stop playback or recording on the camcorder before connecting it to the PC. The battery level may be too low, try connecting the camcorder to the PC and then slide the camcorder's power switch to the on position. The power supply of the USB port might be marginal; removing some devices from the USB ports may help. Or you can try a USB hub with external power supply. Why isn't my EZ300HD allowing me to record any more videos? First, check to make sure you have some available memory left. Make sure that you haven't loaded any non-video files onto the camcorder’s flash memory. Save the videos to your PC using Memory Manager’s “Save All” function. Insert a memory card and copy the camcorder’s contents onto it. Insert a memory card and record directly to it. Why does the EZ300HD camcorder display "Memory Empty" even though the remaining time shows there is still space on the camcorder? If you've loaded any incompatible files (i.e., documents, photos, music, etc.) onto your camcorder using standard Windows Explorer, they will use up available recording capacity, but may not be able to be played. To fix this possible situation, please remove these added files from the camcorder through Windows Explorer. DO NOT remove the “ DCIM ” folder. This is where your video files are stored. If you delete this folder you will not be able to recover any lost videos. DO NOT remove the “system” folder, “autorun.inf”, “ReadMe.txt”, or “RCAMemoryMgr.exe” files. 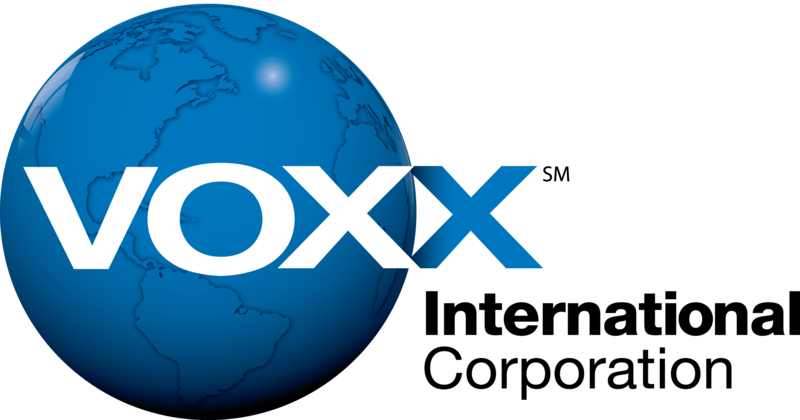 Box.net is a online storage service that RCA has partnered with to allow for EZ uploading and sharing of your memorable moments recorded with your Small Wonder camcorder. Your RCA Box account offers 1 of free online storage and a maximum upload size of 35 MB per file. You can learn more about your FREE Box account at http://www.box.net. What do I do if I have forgotten my Box.net login information? Your account username is the email address that you originally provided during Box.netTM registration. If you need any additional assistance recalling the registered email address that you used, please contact Box.netTM directly. To reset a password, go to http://www.box.net/reset. How long will my Box account be available? Why are my friends, family members and colleagues not receiving the automatic notifications when I share video using Box.net? The shared video notification email is automatically created using html formatting, which may be blocked by certain spam filters. Have the recipients look in their default spam folder for the notification emails and check their email provider’s policies for spam filter adjustment. Why am I unable to share my videos? First, make sure your computer is connected to the Internet and your camcorder is properly connected to a PC USB port. A router, firewall, or corporate proxy server may prevent a successful outbound connection needed for sharing. Please see the computer and router's help documentation for further assistance or contact your system administrator. Why am I able to record longer than the display shows on the EZ300HD? Why can't I see my SD card as a video source while using the Memory Manager software even though it is inserted into my EZ300HD? Be aware that you cannot access both the internal memory and the SD card simultaneously. Insert the memory card into the card slot on the side of the camcorder and then connect the camcorder to the PC using the retractable USB connector. Launch the RCA Memory Manager software. Press and hold the red record button on the camcorder until a small SD card icon appears on the camcorder’s view screen. The Memory Manager software will now recognize the inserted memory card as the main video storage volume to access. Why can't I properly operate my EZ300HD using Windows XP SP1? Microsoft Windows XP Service Pack 2 (SP2) is the name of a critical update for Windows XP. SP2 contains several major security fixes and as a result, the Small Wonder was designed to make full use of these much needed security changes. To obtain more information about Windows XP SP2 (or to download it) please click here - http://www.microsoft.com/windowsxp/sp2. Why did my EZ300HD stop recording even though I had free space on my SD card? Power on the Small Wonder and then insert an SD card. You will be asked if you want to copy the video clips stored on the Small Wonder internal memory to the SD card. If you choose to copy the video clips to the SD card by pressing UP you will be asked if you want to delete the videos from the Small Wonders internal memory once copying is complete. Deleting the videos by pressing and holding delete will remove all videos from the Small Wonders internal memory and thus free up more space for you to record on. Under the "Edit videos" tab in the Memory Manager Software, how many videos am I able to combine on "The Stage"? Currently, you may combine up to six video clips on “The Stage”. This limit may increase in future Memory Manager releases. Why am I getting a runtime error message when trying to install the RCA Memory Manager Software on my PC? Close the error message dialog box. Unplug the Camcorder and plug it into the PC again. Memory Manager will launch automatically*. Once Memory Manager is started, it will detect a new update. *To manually launch RCA Memory Manager; Click Start > All Programs > RCA Memory Manager > RCA Memory Manager. If the above steps still do not solve the problem, please click here to directly download the latest version of Memory Manager. Why am I getting an error message when I try to update my EZ300HD RCA Memory Manager software? If you are experiencing issues running the updater provided in the Memory Manager software, click here to directly download the latest version of Memory Manager. How can I view WMV files that were created by the EZ300HD Small Wonder's Memory Manager Application on a Mac OS X™? Though the Small Wonder Memory Manager application is not compatible with Mac OS X™, it may still be possible to access and play videos that were converted by the Small Wonder’s Memory Manager Application when using OS X™. One approach is to use the Flip4Mac™ which can be downloaded from http://www.telestream.net. After you have successfully completed the installation, you will be able to play back the converted videos using QuickTime. How do I play videos recorded with the RCA EZ300HD Small Wonder on Mac OS X™? Though the Small Wonder Memory Manager application is not compatible with Mac OS X™, it may still be possible to access and play videos stored on the EZ300HD when using OS X™. One approach is to use the DivX™ for Mac™ package which can be downloaded from http://www.divx.com. After you have successfully completed the installation, you could use the free DivX™ Player to play back your videos. Another approach is to use Perian which can be downloaded from http://perian.org. Perian adds native support for many video formats so you will be able to play your Small Wonder videos in QuickTime™. Videos are located in the DCIM\100VIDEO folder on the EZ300HD. Why does the EZ300HD Memory Manager software convert the video format when I share? When sharing via email or Box.net™, the video files are automatically converted into the Windows Media Video™ (.wmv) format. As a result, the converted videos are smaller in size, allowing you to share longer memorable moments. Where are my video files stored when I save them to the computer using the EZ300HD RCA Memory Manager Software? For your convenience, the RCA Memory Manager software will also place a RCA Small Wonder shortcut on the computer’s desktop. Can I email or upload the original, uncompressed .AVI video file using the EZ300HD RCA Memory Manager Software? No, you cannot currently email or upload the original .AVI video file using Memory Manager. If you wish to share the original files, simply save them to your computer and either attach them to an email (from your preferred email program) or login directly to www.box.net™ and upload them to your enhanced RCA Box account. Why do I get a “Windows - No Disk” error message when trying to access my EZ300HD using the RCA Memory Manager program on a PC with Windows Vista™? A known Microsoft Vista™ operating system issue was detected and several reliability updates were released by Microsoft to resolve this issue. From the Start Menu, Type “Windows Update” and press Enter. Select View available updates link. Select all of the available “Update for Microsoft Windows (…)” options by placing a checkmark next to them. Please visit Microsoft’s website at www.microsoft.com if you have any additional questions or concerns about downloading and installing updates. After the updates have been downloaded, installed and configured, please attempt to access your EZ300HD using the RCA Memory Manager program. Is the EZ300HD compatible with Windows Vista™? Yes, your EZ300HD RCA Small Wonder is compatible with Windows Vista™. Why is the recorded video out of focus on the RCA EZ300HD? The recording distance may be too close. Why isn't my RCA EZ300HD camcorder charging correctly? Make sure the USB cable is securely connected to both the PC and the camcorder. The PC must be turned on to charge the camcorder. Make sure the AC/DC adapter is connected to a working AC outlet and the USB plug is secured connected to the camcorder. If all connections have been verified as secure and in working order, slide the power switch of the camcorder to the on position. If the environment temperature is too high, the camcorder will stop charging. Move the camcorder away from the heat source and allow to cool before charging again. Try another USB port - there may be a problem with the one your attempting to use. Are there any software/hardware conflicts that I need to be aware of when using my RCA EZ300HD Small Wonder? The EZ300HD records videos using the H.264 video coding technology and the video files use the AVI file format. For these videos to play on your computer, you must have an H.264 video decoder installed in your computer. The Memory Manager software that is included on the EZ300HD digital camcorder includes an H.264 video decoder that automatically installs on your computer. Please note that other cameras and camcorders install similar H.264 decoders onto your computer, which may result in difficulty playing videos captured with your Small Wonder and edited with Memory Manager software. RCA has identified conflicts with the latest versions of DivX, Nero, Flip Shared (installed by the Flip camcorder) and Arcsoft Total Media Extreme (installed with Kodak and Aiptek camcorders). If your Small Wonder videos do not work with the Memory Manager software, it is most likely the result of a codec conflict and can be corrected by uninstalling the software from your other camera prior to use. Can I share the videos/photos I capture on my RCA Small Wonder EZ300HD with a friend/relative who has a Mac? Box.net: you can upload videos up to 35MB and share privately with friends and family. Youtube: you can upload videos up to 100MB to and share videos publicly. E-mail: the Memory Manager software converts videos to the Microsoft WMV video format (which can play on all Windows and MAC computers without a codec) and reduce the resolution of the videos so they are more likely to fit as an e-mail attachment. Memory Manager gives consumers the option to directly attach the converted videos to an e-mail to send to friends and family. Alternatively, consumers can send the original H.264/AVI file to MAC users for easy play-back. Where are the recordings on my EZ300HD? The recorded file may be stored in the internal memory of camcorder instead of the SD Card, please remove the micro SD card and browse again. Also, you can connect the camcorder to your computer and search both the internal / external memory's DCIM media folder. Why is the recorded video very dark in low light conditions and very bright in high sunlight conditions? The LIGHTING setting in the cameras MENU allows you to manually set the camcorder to the preferred selection, providing the best performance depending on the light conditions. "LOW LIGHT" in low light conditions. "INDOOR" in normal light conditions. Why does pressing the Record button not start a video recording immediately on my EZ300HD? If the camcorder is in photo mode, pressing the record button the first time will toggle the camcorder to video mode. You will then need to press the record button again to start video recording. Why does pressing the Photo button not take a photo immediately on my EZ300HD? If the camcorder is in video mode, pressing the photo button the first time will toggle the camcorder to camera mode. You will then need to press the photo button again to take a photo. Why doesn't my MAC play the .avi files through Quicktime? Playback of the .avi files on a MAC require the installation of the Perian (http://www.perian.org) codec pack for Quicktime in order to play in the MAC. Close any open Quicktime players. Open the web browser and download and install the codec from http://www.perian.org. Reopen Quicktime and play the video. Why won't my PC boot up while the EZ300HD is connected via USB? There might be a conflict between the PC and the camcorder. Unplug the camcorder from the USB jack before turning on PC. Do I need separate software to edit videos/photos captured with my EZ300HD? RCA’s Memory Manager software, which is built-in to all Small Wonder models, supports basic editing features (e.g., trim and joint multiple video clips). For consumers who desire advanced editing capabilities, we recommend Pinnacle Plus* for PC or iMovie* for MAC (*not included). Can I upload my videos to YouTube? Yes, Memory Manager makes uploading to YouTube extremely easy! Simply select the “sharing” icon in the Memory Manager software, then select “YouTube” as the sharing option. Users can login with their YouTube account information and select the video they wish to share.